I went shopping yesterday, Christmas shopping...for other people...so I tried to be good and not spend on myself, but I have wanted a glitter nail polish for ages and kept seeing different ones on other blogs, so as I walked into Superdrug to get some hair dye this beauty said to me 'buy me, buy me!' so it had to be done! 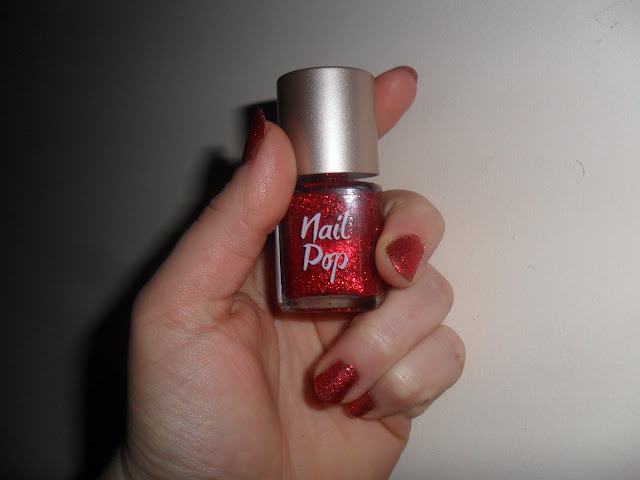 Look (yes the magazine) have brought out a beauty range and the items are very reasonably priced, this polish cost me £5.00, it's in shade Dorothy, yep from the Wizard of Oz with her sparkly shoes! The pictures do not do this shade any justice, I can't stop looking at my nails they look so so fabulous, I will definitely be wearing this on Christmas day, it looks so classy when it's on!! This is a must have!! I went into LUSH and bought some friends a Secret Santa Box (very cute gift idea that I have reviewed here) and I got this FREE sample for me! I had never heard or seen this product before it's 'Lustre Dusting Powder - Fragranced with our well-known Lust perfume. 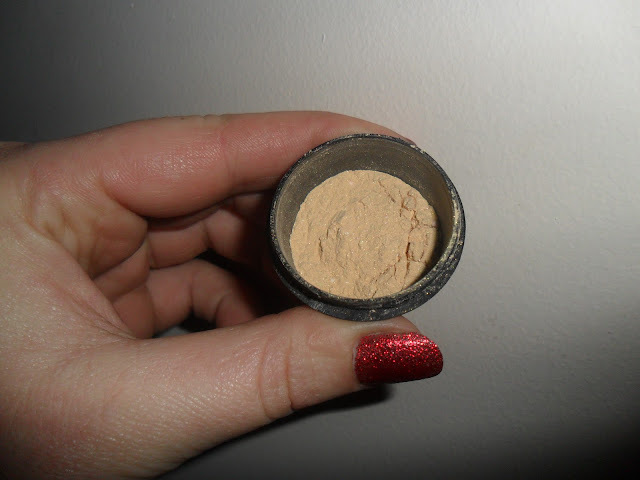 Contains a fine gold shimmer pigment to give the skin a very subtle light glow. "Smells amazing and feels silky smooth on the skin – leaves you ready for anything or anyone. Mark made this fragrance originally because he wanted an adult fragrance that was pure lust. It is very much an unapologetic jasmine scent that doesn’t try to hide its primal nature too much. Our Lust fragrance is one of those smells which works in pretty much everything we decide to try it in. That’s not always the case with perfumes, which can sometimes alter when put in different bases. This one however, gives itself to everything." 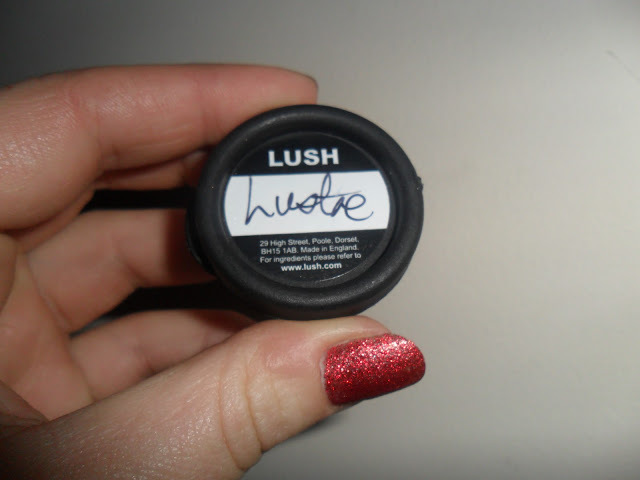 When I opened it it had a very overpowering Jasmine scent and alot of people on the LUSH website had reviewed that they didn't like it, but after testing it on the back of my hand it smells gorgeous, subtle Jasmine with a very sweet smell. I really like this product, it's super shimmery so ideal for a night out but at £10.00 for 45g I think it's quite expensive, but it's something I would only use for a night out....so maybe it's worth it? Have you tried it? And what do you think of my new nail polish? 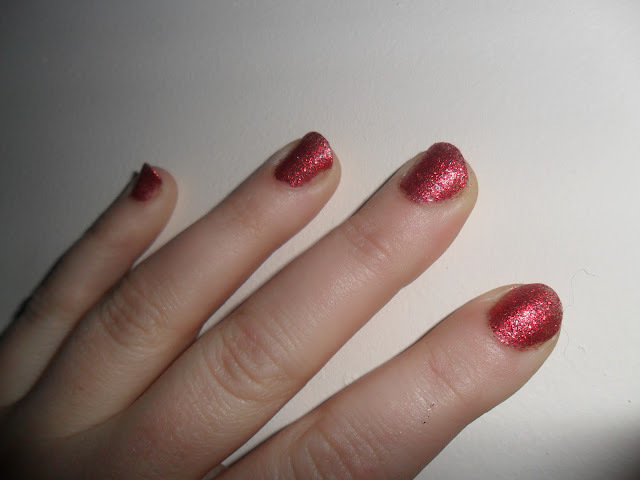 Love red sparkly nails, going to do mine red and green glitter on Christmas day :D Wish i could find this Look make up range somewhere!! 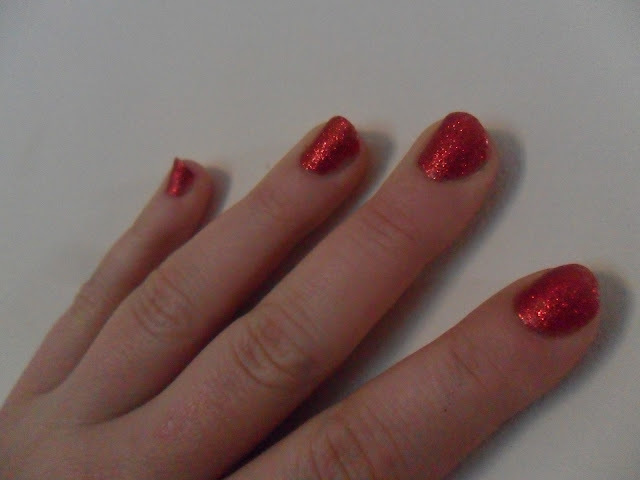 It reminds me of Mavala Red Diamonds which I love (and which hubby hates :) ). I hope for your sakes it's easier to remove than the Mavala though. It's a total nightmare to shift. @ Angie - You should track it down and buy it hun!! Wow, what a lovely shade! I love the name 'Dorothy' too, its perfect! 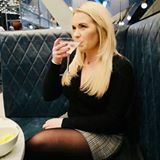 I've been looking for a glittery nail varnish for ageees and bought the Barry M Limited Edition one last night but its only available in silver and I desperatley want some other colours so will have to check out the Look range!